11 miles away from my primary shooting range, the West End Gun Club shooting facility, is the 3N06 Coldwater Canyon trailhead. I actually found out about it through Trails Offroad when I was researching what trails existed in my area. 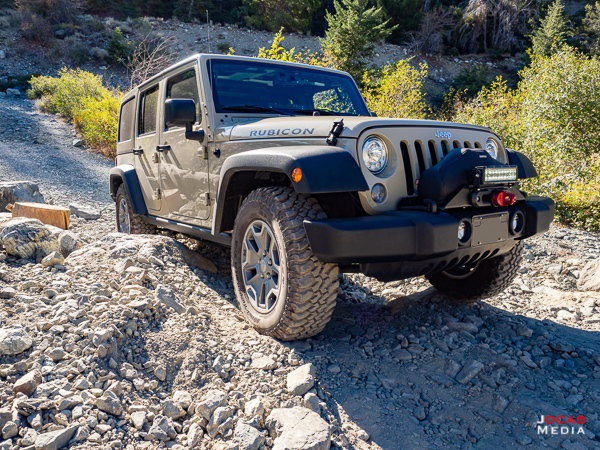 The Trails Offroad review of the 3N06A Coldwater Canyon trail ranked it with a difficulty rating of 4. Rutted and/or rocky road. No shelves but rocks to 9″. 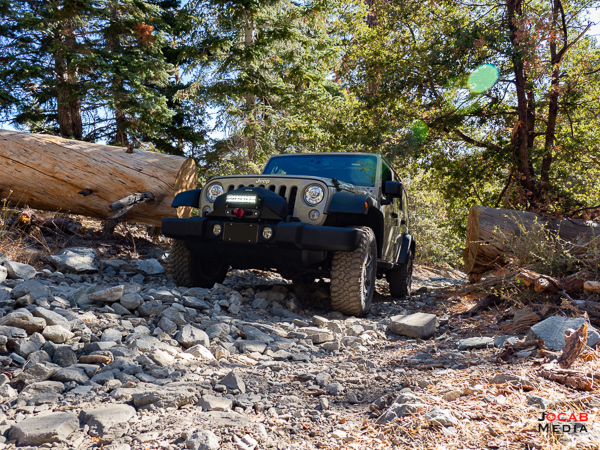 Water crossings usually less than hub deep. Passable mud. Grades moderate, up to 15 degrees. Side hill moderate up to 15 degrees. 4WD under most conditions. No width problems, vehicle passing spots frequently available if less than two vehicles wide. The photos on the Trails Offroad review made the trail look interesting, so I decided to check it out on the 19th of September 2018. 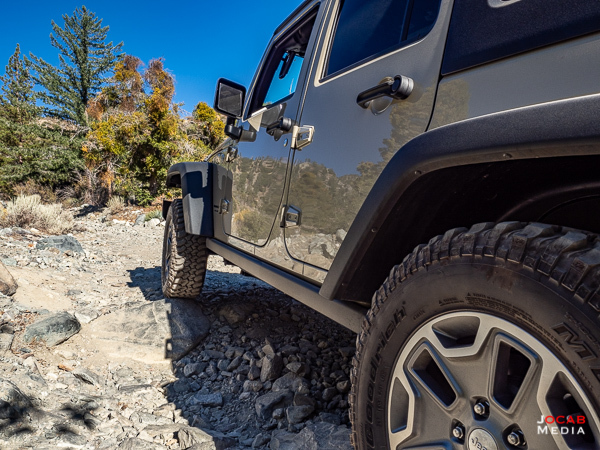 Disclaimer: Drive this trail at your own risk. Difficulty of a trail is always subjective to several factors including the weather conditions, the (changing) trail conditions, driver skill, and vehicle capabilities. 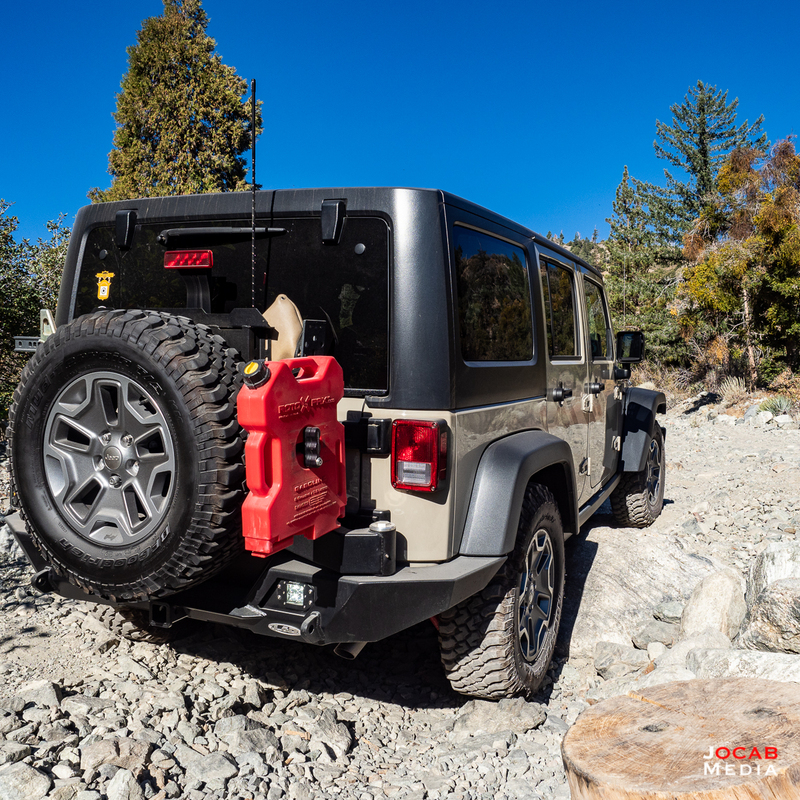 Take all safety precautions when driving off-road including but not limited to: driving with another vehicle, emergency non-celullar communications, first-aid supplies, vehicle recovery gear, etc. The above embedded map is via Gaia GPS which was used to record the trail run. I currently subscribe to the Gaia GPS service which is leveraged via the Gaia GPS smartphone application. The Trails Offroad review off this particular trail is relatively accurate in terms of the difficulty rating. 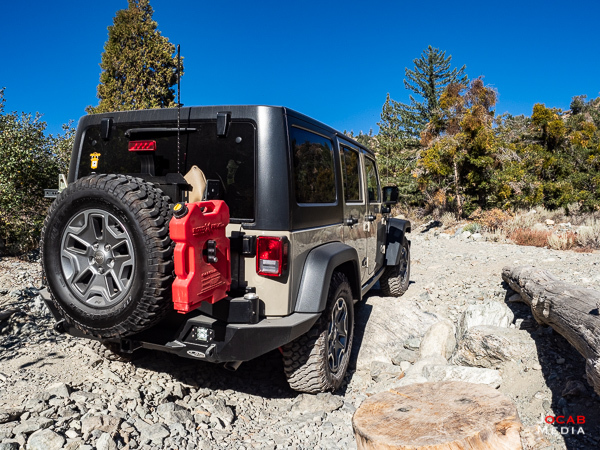 The first 1.3 miles from the trailhead to the first yellow post camp site location is going to be two-wheel drive accessible, as long as the 2WD vehicle has decent clearance. The first section of the trail is going to be mainly loose stones and shale. 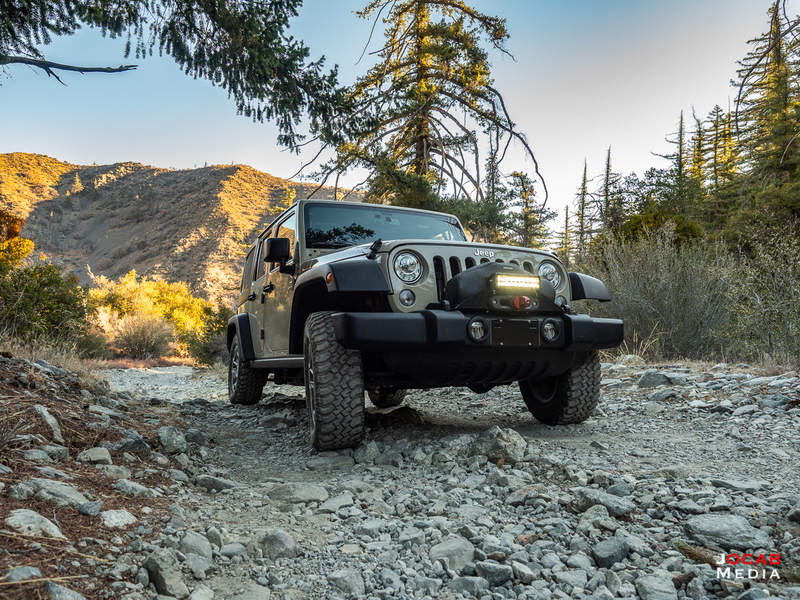 Once you pass the 1.3 mile mark (Yellow Post #3 camp site) is when the Coldwater Canyon trail gets interesting (slightly more difficult) and will benefit from four-wheel drive. Higher clearance is a must and a decent approach and departure angle will be required for a couple areas between Yellow Post #3 and the end of the trail that have larger stones/boulders. With a Jeep Wrangler JK Unlimited Rubicon with stock wheels and suspension, there were a couple of times when the factory skids (mainly the fuel tank skid plate) would make rubbing contact with the rocks and/or shale. 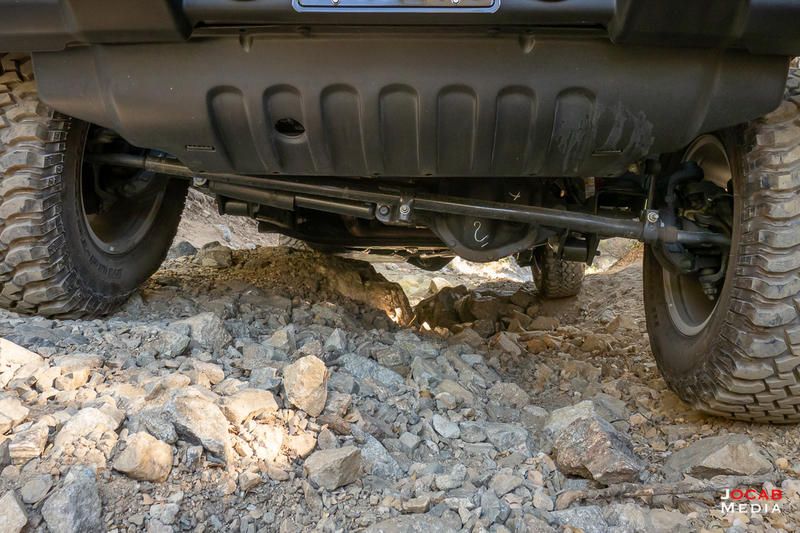 No hard hits, but this gives you an idea of how the bottom of a vehicle will clear this trail. There are a couple of off-camber spots on the second half of the trail, one specifically tilts the body of the truck towards the hill side about 10-15 degrees. I only ran this trail to Yellow Post #19 camp site. There is another tenth of a mile or so, but the trail ends and requires you to turn around. But Yellow Post #19 is a nice large area with plenty of shade, so even on a hot summer day, it should be a comfortable camp site. As you may notice in the above Gaia GPS trail run recording, I did the trail one-way in 1 hour and seven minutes, but this included a few stops which accounts for approximately 11 minutes of the trail run time. I stopped to take photos as well as to inspect the road ahead to make sure I took the correct line. 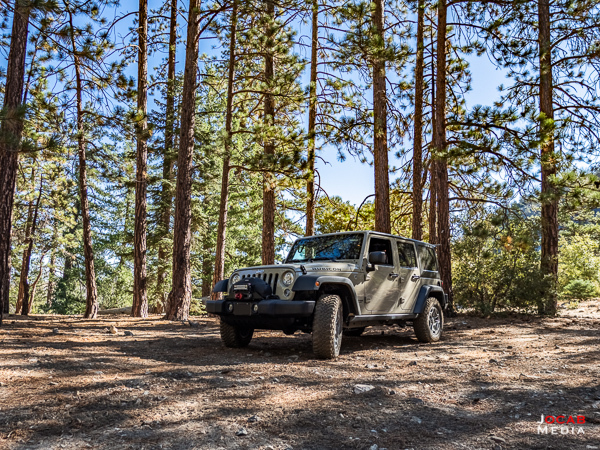 The 3N06A Coldwater Canyon trail is a solid trail for novice off-road drivers and provides a good way to test out some driving skills without too much risk (relatively speaking). Be sure to check out the Trails Offroad overview of the 3N06A Coldwater Canyon trail to assess this is a trail you want to try out. Take note of the fact that this trail crosses Lytle Creek and is a flash flood area. Avoid this trail if it is raining.